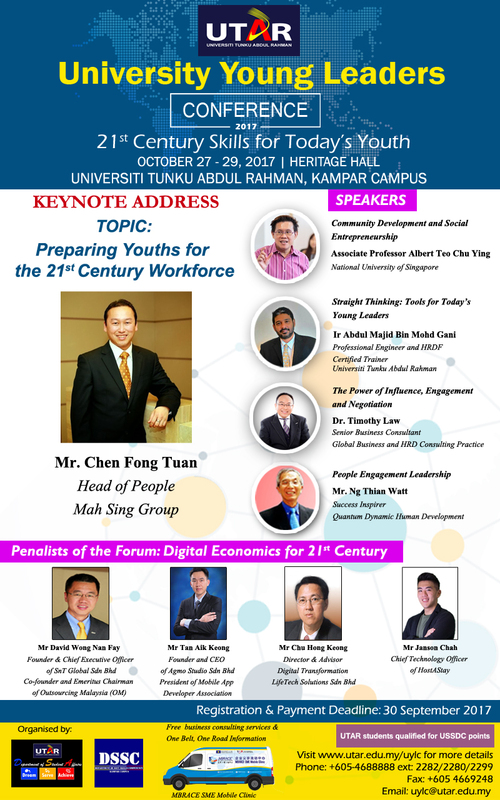 The Department of Student Affairs and the Department of Soft Skills Competency of Universiti Tunku Abdul Rahman (UTAR) are pleased to organise the University Young Leaders Conference (UYLC) 2017, themed '21st Century Skills for Today's Youth', from 27th to 29th October 2017 at UTAR Multipurpose Hall, Kampar Campus. You are cordially invited to the conference. 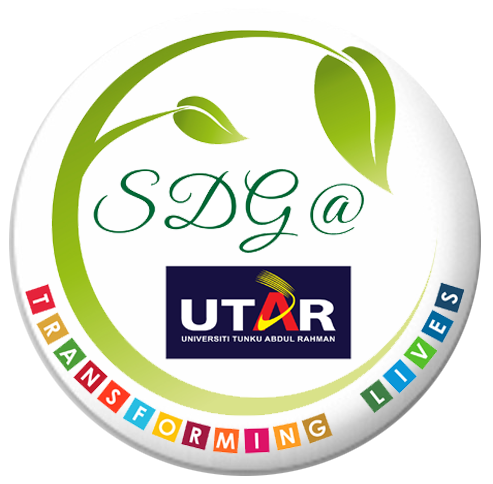 UYLC aims to enrich the students and sharpen their thinking and viewpoints towards global issues. Participating students are expected to acquire a good understanding of value system and achieve good communication with people from different cultural backgrounds.Thus, skills of critical thinking, power of communication and leadership will be acquired during the conference. This conference will be held for three days, which include talks and workshops by prominent speakers / trainers sharing their valuable experience and knowledge. Thus, through a series of an active learning process, student engagement can be promoted and strengthened effectively. Attached are the details of the conference together with the registration form. If you have any further enquiries, please do not hesitate to contact us at 05-46888 88 (2282/2280/2299) or email to uylc@utar.edu.my. Please submit your registration form and a photocopy of bank-in slip to the Department of Student Affairs before 30 September 2017. A confirmation of registration will be given to you after the payment is made.